In the recent episode (108b), we talk a lot about the breadth mechanical substance of competitive video games like League of Legends and StarCraft compared with relative lack thereof in board games, especially abstract games like Chess and Go. It was a bit of a weird conversation to have, because Chess and Go are massively popular games and have been so for such a long time that they are a part of the collective consciousness about games, whereas MOBAs, competitive shooters, and RTS games are all young upstarts by comparison. So, I wondered what could explain the difference? On the one hand, you have games so simple a child could learn them that were created hundreds (maybe thousands) of years ago and will possibly be played for hundreds (maybe thousands) more. And on the other, you have games so complicated that even the creators constantly need to rebalance their efforts, games that may in the future be replaced by even more complicated games, relegating these to a past of emulators and GOG sales. But both types of games have strong competitive scenes, and can sustain thousands of players all over the world without growing old or stale. What is your favorite abstract board game, and what is the single biggest attraction that makes it worth playing? We covered a lot of ground in the podcast, so I’d give it a listen. And, even better than any of the discussion, we explained how you should enter our contest so that you can win a copy of one of my favorite abstract games, Tak. Toward the end of the episode, we discuss how you can enter (you are going to need to answer the question of the week, for one) and how the contest will be run. 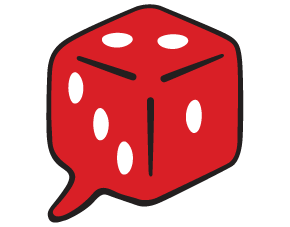 So please, tell your friends, tell your coworkers, tell random people on the street: if you want to win a free copy of Tak from Cheapass Games, listen to Episode 108b and send us your answers! A few months back, I got a message from a user on Board Game Geek asking if I was willing to part with my copy of TimeBomb. Apparently, unbeknownst to me, Indie Boards and Cards had gotten a license to re-make the game, and they chose to change the cartoonish “bad guys blowing up stuff” theme to an unbelievably over-used “Cthulhu and cultists” theme. I was moderately surprised at the change, especially because a number of their games (The Resistance, One Night Revolution, Coup) revolve around a setting where secret bombers trying to outwit the authorities just makes sense. For whatever reason, they went a different way. But there is still the original Japanese version (which I didn’t end up parting with), and a French version from publisher Iello, that sticks to the “terrorist” theme, however objectionable that may be. Regardless, TimeBomb (or “Don’t Mess With Cthulhu”) is a quick social deduction game with exceedingly simple rules and some random elements that keep the game from being too heavy. The game I would most closely compare it to is The Resistance. In both games, the players are split into teams, and the goal of the game is to succeed at their missions (for the good team) or sabotage the good team and make it through the game without being discovered (for the bad team). But where The Resistance has a pair of voting systems (and expansions with a variety of roles and special actions) that you use to try and suss out who is on what team, TimeBomb simply splits the players and then uses a bluffing mini-game of sorts to introduce information. You take the deck of “wire” cards, some of which are neutral, and some of which disarm the bomb, and one of which is an explosion, and deal it out so that each player has the same number of cards. You know what cards you have, but you shuffle them up, so you don’t know which of them is which. If you only have safe wires, then we can cut any of yours and the game continues… and if you have the wires we’re looking for, we can try to hone in on where they are. The problem is, everyone is going to claim to be safe or better, even the bombers. Maybe especially the bombers. Sometimes, you want people to think you have the game ending explosion, other times, you desperately need them to believe you don’t. There are no special actions, shifting alliances, or other complications. On your turn, you choose another player, flip over one of their cards, and then it becomes their turn to choose someone. No one knows the other players’ teams, so you can never trust anyone; even the bombers are in the dark, so one can’t gain control of the wire cutters, give away their role, and try going to explosion city with the other bomber… suddenly everyone will claim to be their partner! This is where the game shines, because despite its simplicity, you get all of the bluffing, suspicious squinting, and blind accusations you would in any other social deduction game. Everyone has to lie and connive while trying to see past the other players’ lying and conniving. Each round, after a certain number of cards have been revealed, the remaining cards are re-shuffled and re-dealt, so the entire situation is thrown into disarray. That lack of sureness, due to the cards, is helpful in preventing the game from becoming a stale exercise in pure deduction, and forces you to check and re-check how the players around you are behaving. I’d like to say that it serves well in that regard and has no drawbacks, but like the policy cards in Secret Hitler, sometimes the game plays you more than you play it. A bomber with the only remaining success card, but also the explosion, is in a tight spot, because they have to risk causing the other team to win in order to have a chance for their team, and a technician with the explosion needs to drive everyone away from his cards, but can’t explain why without tipping off the bombers. I find, though, that rather than feeling like you have been screwed by the randomness of these things, you just get a great moment of tension, and then, if it comes apart for you and your team, the game is quick enough that it doesn’t matter. I do want to take a moment to revisit the “Cthulhu” re-theme: this is probably the worst part of the game you will encounter. Although this has lead to the publisher adding a few optional complications to the game (in the form of special actions that reveal cards or move them around), it is simply obnoxious that the original theme, or a less objectionable formulation of it, wasn’t kept. In a world where Call of Cthulhu has inspired everything from movies to horror games to cutesy puppets, we did not need the big green monster’s face slapped onto yet another item, especially one where the subject matter doesn’t really fit. I don’t begrudge the fellow who asked if he could buy my copy; the Cthulhu theme feels pasted on in the worst way, and if I didn’t play a version with bombs, cops, and terrorists, I would probably never even have considered the game. That would have been a mistake, but what can you do? TimeBomb is a fine game, and I’m sure the Cthulhu version is, too. Because the mechanisms make the game, and the mechanisms in this game are solid. It is by no means a great game; the simplicity and unpredictability lead to it being a bit too light and quick for me when The Resistance and One Night Revolution also exist. But the quickly understood theme, push-your-luck search for the right cards for your team, and simple focus on reading the other players over complicated deduction all come together to make a perfectly fine game, especially to fill in with non-gamers who might be put off by a more complex or subtle social deduction game. I came across Rolling America in a place that, a couple of years back, I would never have expected to find quality, modern games: the toy section of Target. But, for whatever reason, Target has gotten fully into the modern gaming scene, selling classics like Catan and Ticket to Ride, newer games like Forbidden Island, and even getting their own “exclusives” like Codenames: Deep Undercover. Because of this, we periodically stop by the games area when we are in a Target to see what stuff they’ve got. I was familiar with the predecessor game Rolling Japan, and I had played at least one other “roll and write” game from the publisher Gamewright, so when I spotted Rolling America in the display, for as cheap and small as it was, I figured it was a no-brained to pick it up. If nothing else, I was sure that I could give it as a gift if we ended up not enjoying it. The game is fast and simple: you roll a couple of dice, write a couple of numbers in states in regions that match the colors of the dice, and make sure you follow a single restriction on adjacency. Then, repeat. It follows a pattern of many light-weight family dice games in that way, from Yahtzee to Roll For It, but where those games are heavily reliant upon luck and center around the dice, Rolling America is surprisingly strategic, rewarding organization and forethought. There are two reasons for this. The first is that the dice that are rolled are communal. When the red die comes up six and the yellow die comes up four, everyone at the table must write a six in the red region of the map and a four in the yellow region. So, although there can be some dice rolls that are better for some positions than others, everyone takes the same inputs and must do a better job with them than the other players. A “wild” die, that you can place in any region, ensures that initial similarities disappear; I place it in a region that you don’t, and no longer can we play out the game in the same way. Because of this, the game is very heavily skill-based. Knowing what to do with certain rolls and how to best play them (at least, how to better play them than your opponents) is how you win. The second reason that Rolling America feels more strategic than similar “push-your-luck” dice games is the restriction on placement that I alluded to earlier. When you write a number adjacent to a number you already have placed, the numbers must be within one point of one another. So, a five can go next to a four, five, or six, but cannot touch a three. Here is where superior planning wins the game, because knowing the sizes of the regions and states, the number of adjacent states, and carefully placing your “wild” numbers is favored over thoughtless play. One of the people I played with actually developed a system of marking states with the values they could still hold and she would win by a good margin because of it. The game also features three “special abilities” that each player can use three times per game, allowing you to ignore the color of a die, ignore the placement restriction, or duplicate a die’s color and value. The basic system is fairly strategic, but these abilities add levels of system mastery that you wouldn’t expect, and tactical possibilities that raise the game from simple filler to… slightly less simple filler. It’s still not going to be the main game of an evening, but it’s not intended to be, and it has depth that other time wasters don’t. Now, because it is dice-based, a player can make a move that is fine in the moment but ends up being a mis-play down the road. It’s not a major flaw; I want to emphasize this because everyone plays from the same dice, so everyone has the same opportunities. But sometimes, you have to take a risk that you isn’t particularly risky, and then the dice results force you to have to use a special ability or take a hit in the score. Another potential issue I ran into in a game where I was trying to be clever, and I made myself a bit uneasy… at the end of the game, you score your neighbor’s map, and mark any mistakes or empty states as penalties. So, a four adjacent to a six costs you a point. But, there is no rule about intentional “mistakes,” i.e. writing a number in a wrong place on purpose to avoid larger damage. I honestly don’t know if this is ever a good idea, but it seems like it could be, and that is discomforting. Overall, Rolling America is a light, quick, but meaningful game. Your decisions matter, and despite depending on randomness, you can make good plays in the long-term (well, as long as the game gets, which is around 15 minutes), and you can play well. I have a difficult time thinking of a group that it wouldn’t fit well with, from young children to new gamers, from experienced euro-lovers to minis-loving dice-chuckers. It’s not the greatest filler in the world, but it’s surprisingly good for a game I picked up on a whim from a big box store. Question of the Week: Most Punishing, But Fun? For the most part, punishments are meant to split your attention. You have certain things in the game you are trying to accomplish, towards which you need to put resources. In some games, that’s specific in-game resources like “food” or money that must be spent on upkeep, in others it’s just a more vague sense of time and effort. It’s loss that you must account for or avoid, because loss is visceral in a way that gain is not, even if it is mathematically equivalent. It’s more important to avoid losing points in Agricola for not feeding your family than it would be if it were simply extra points for making sure you did. Avoiding punishments, figuring out how to split your resources to either get ahead of the loss or avoid it altogether, is a fun element of many games. And last week, I asked if you prefer to have games where you need to avoid punishment, or if it was more fun to not have that worry. I prefer it, because the extra tension is enjoyable, and for me, overcoming tension is a major part of what I enjoy in games in general. But this week, I’m curious about more specific examples! What is the most punishing game you have played that you enjoyed? Why was it good? Because for me, there is an upper limit, even as I enjoy punishing games. It was an essential and enjoyable part of getting “good” in Through the Ages to avoid the pitfalls of the economy and not get punished, but the problems you face in The Capitals and Food Chain Magnate are so brutal that they are games I have a hard time recommending to everyone. The setbacks for failure in Dark Souls and Transistor are fairly significant, and they can be more frustrating than fun, and in the case of the latter, were enough to put me off from the cool mechanics. We spent a lot of time talking about what makes things kinds of mechanisms in games important and enjoyable, despite the counterintuitive nature of “wanting” penalties and costs in games. But I want to hear from you, because of how counterintuitive it is: send us an email to let us know what punishing games you’ve enjoyed, and we can talk about them on the show! Whatever you want to tell us, email us at thedieispodcast@gmail.com. We’ll respond and discuss, I promise! I encountered Guns and Steel at a convention where I wasn’t looking for it. I had gone there with a list of games I wanted to try, two of which were small civilization-themed card games, 7 Wonders Duel and Chronicler. Coincidentally, I left the convention never desiring to play either of those again, but with a burning desire to play more Guns and Steel. Chronicler felt very much like an overly random solitaire game with no theme, and 7 Wonders Duel just felt like 7 Wonders but smaller… and it fell flat in the face of Guns and Steel. There wasn’t a reason to have both. Guns and Steel, as implied, is a civilization-themed card game as well, but where 7 Wonders Duel focuses on collecting several categories of civilization features and careful drafting, and Chronicler focuses on… I don’t honestly know what… (pretending Klondike Solitaire is a fun game, maybe? ), Guns and Steel is about the development of your “tech tree” hand of cards and the balancing act between economic prosperity and military prowess. The game is set up initially by placing all of the cards face up on the table in a pyramid layout, with the base being the most basic, ancient of technologies (such as domestication and currency), and the top including modern tech like computers and nuclear subs. And yes, that means there is nothing really hidden in the game; everyone begins with the same hand of cards for resources and actions, and all moves are made in the open. When I first played, this raised a question for me: If every card is always in the game, and everything is visible… will the game always play out the same way? After several plays, I found this worry to be unfounded. That pyramidal set up is semi-random: each row of cards, representing a technological level, is randomized, and you can’t start buying cards from a higher row until the cards below it have been purchased. So there is variability game to game, and that variability is multiplied by the players and their reactions. On a players turn, they must use one of the cards in their hand as a resource, and they must use one of the cards in their hand for its action. Actions either threaten your opponents’ progress or help your civilization produce resources to move through the technological ages, but acquiring more, better actions requires resources. Because everyone begins by targeting different tech cards (by necessity), everyone plays different resources, uses different actions, and after the first round, everyone has different strengths and weaknesses. I am always a big fan of games where the cards have different uses, because there is inherent strategy in even the simplest opportunity cost choice. But here, the decision is more difficult, because everyone can see what you are playing, and what your future decisions might be based on that. Do you take a newly acquired card and use it for the more advanced resource? Or do you use it for the powerful new action? But also, if you place it too early, that makes it a target for your opponents’ military raids… and if you place it too late, the cards you want to use it to purchase might be gone. And can you afford to spend any time developing your defenses, snagging cards an opponent wants, or recovering? The tension and timing of playing the cards is the core of the game, and it is a simple but impressive core. But the game isn’t simply a mechanical “gain and spend” exercise! The theme of building up your civilization and mustering its military forces is well-presented, too. Attack cards allow you to temporarily damage your opponents’ resources or swipe away their point-scoring Great Wonders, and it can be dangerous to simply leave your civilization unprotected. And Tactics cards can improve the efficiency of your attack and defense, but leave you without much of an economy to protect. Without military, you can be very vulnerable, but if you have enough civil tech, you can also rebuild more quickly. Again, every card has multiple uses, and because military confrontation is as much a mind game as it is a counting game (higher strength wins…), you have to maintain flexibility in using the cards whichever way you have planned. There is one minor issue that I have run into in playing Guns and Steel. When a player depletes their hand, they can take any or all of the cards they have played back (and certainly, you’ll want to take any spent resources back). But before that, there is a chance to see if you qualify to acquire a Great Wonder (the Pyramids, Taj Mahal, Himeji-jo, etc.). These are worth points, although they can be stolen, but players who are able to dump cards from their hands earlier have a better chance to take these cards. And players who are able to dump cards from their hands earlier have a better chance to get their favorite technology cards. In other words, there is a distinct first-player advantage in the game; the rules admit this as well by allowing the later players a half-turn of sorts to gain an extra resource. Does it even things out? Hard to say. Sometimes it feels like it doesn’t, but it’s a little ephemeral. The game has felt solid every time I have played it, but there is this niggling worry in my mind that won’t go away, and I don’t know if there is a hard, mathematical solution or an opening move that would help. It suffices to say that, although I have had my worries about the game, none of them have become particularly present. Every time I play Guns and Steel, it feels like a tight, difficult, and new procession of cards, and the strategy of planning your route through the tech tree/pyramid is never obvious or easy. For a civilization-themed card game that actually feels like a bit like a civilization game, it plays very quickly, the core mechanism is engaging, and the only times you feel out of options is when you have made a mistake or you know you have been outplayed. Question of the Week: Punishing games or not? In the upcoming episode (107b), Brandon and I talk about “punishment” in games, specifically there being mechanics in games that will penalize you in some way unless you can avoid them. In almost every game, the point is to win, be it through killing the bad guys, scoring lots of points, capturing a spawn point, or rescuing the hostages. In many of these, that’s all you do; in competition with the other players, you simply try to “win better.” But games that feature punishment ask you to split your time and resources on another task: don’t take this penalty. But the addition of a penalty for not covering certain bases, for failing to run away in the face of being overwhelmed, of not splitting your resources right and falling short of a payment you must make, that really provides a visceral enjoyment that I don’t get from just trying to score lots of points, or finish levels, or whatever else it might be. In addition to the goal of succeeding in a game, would you rather have a punishment to avoid or not? And, more importantly, why? For me, it’s about the depth of a challenge. Agricola and Through the Ages are both games where you expand your population to achieve more throughout the game, but as your resources expand, you must make sure that some portion of them are dedicated to producing food. There is an economic maintenance that forms the basis for both of the games; you can’t just improve, because every improvement requires additional costs! You have to expand your economic prowess as well as your point-production. This tension, along with many ways to approach relieving it, opens these games up far beyond what they would be without it. But avoiding punishment in games not for everybody, and it certainly doesn’t always work for me… the Dark Souls games come to mind. But I don’t want to repeat too much from the podcast! Think about our question of the week, and send your thoughts to thedieispodcast@gmail.com. We would love to discuss what our listeners think on air. The first time my wife and I tried AEG’s Guildhall (at Essen), she absolutely loved it, and I thought it was good enough to buy, so we picked it up on the spot. But when we got it home, it went on the shelves with a number of other games, and stayed there for a while. Every once in a while, we would think about breaking it out with friends, but for some reason, another game always came out on top. Frankly, I didn’t really love the look and physical feel of the cards; the artwork was a weird mess of realistic and stylized, the colors were gaudy, and the cardstock felt inflexible and easily damaged. Should that have been enough to keep me from playing the game? Almost certainly not. But it took several effusively positive reviews to make me really want to go back to it, and when we finally did, I realized why my wife had enjoyed it so much. Unfortunately, around that same time, it was pretty clear that the game was out-of-print, so me turning around to sing its praises seemed like a poor move. But, unexpectedly, someone at AEG decided not only to reprint both the original set and the expansion, but also to add another set of cards and jumble them all together in Guildhall: Fantasy. The three sets all work very similarly, and can be combined in several ways, but they have this in common: they are a puzzle-like card game of building sets to turn in for points, with the trick of the game being that each card you play and add to your sets changes the situation of the game in increasingly powerful ways. Each turn, you get to take two actions, the most important of which is playing one of six types of card. When you play a card, you check to see how many you already had, and that determines the strength of the effect of the card you played. And then it gets added to your sets in order to make any future cards more powerful… until, of course, you choose to discard a completed set for points, resetting your power level with those cards to zero. This is actually very easy to understand as you play. Again, there are only six card “classes,” each with a relatively simple action (such as “take a card from the discard pile” or “place cards from your hand”) and they feature very strong iconography to help you keep their functions in mind. Because you can play two different classes of card on your turn, the simple actions that the cards provide quickly turn the game into a brain-baking puzzle. You chain your actions together, pulling cards from one place, dropping them into another, swapping cards around and developing your tableau to get ever more effective actions out of your hand of cards. You can almost see the equations and mathematical constants swirling around the other players’ heads as they try to figure out how to complete a “chapter,” one class of each of five colors, before the end of their turn. And although the puzzle-like nature of the game is primary, you do need to complete those chapters before your turn is done, because Guildhall is anything but solitaire, and if you leave large piles of cards in your tableau, you are essentially begging for another player to screw with them. With the right combinations of moves, an opponent can disassemble your carefully constructed tableau and incorporate the leavings into theirs while you sit uncomfortably regretting leaving such an opening. And likewise, on your turns, you must be aware of all of the other cards your opponents are using or have left vulnerable, so you can make the most of their mistakes. This does mean that as players build up their stock of placed cards, the game can slow to a crawl. When the game begins, you can play just about anything, but you gain very few benefits from those plays, so your decisions are pretty easy. But once you and each of your opponents have 15 to 20 card tableaus and the discard pile is filled with cards, it becomes increasingly important to take your time with the puzzle and figure out how you can manipulate the board state to your advantage. Making this situation worse, once someone pulls out ahead of the other players, within striking distance of the goal line, they become the number one target, and all of the destructive abilities of the game, from discarding to stealing points, will be focused on that player. Lots of games suffer from this problem, and I find myself wishing that the destruction was a little more containable sometimes. However, outside of that potential slowdown, the game moves along pretty quickly. It rarely takes more than an hour to play, and the “bash-the-leader” issues mostly just serve to keep someone from running away with the game while everyone else is barely half-way to the end. A couple of final points: there are three sets of Guildhall: Fantasy cards, but you don’t really need more than one. The simplicity of the puzzle and the differences in each game of how your opponents are reacting to what you’ve done (and thus how you react back) gives the game a strong replayability that you won’t always find in games that try to substitute variability in set-up for varability in play. The strength of piecing together familiar actions, rather than reacting to an unexpected set of cards, is what makes Guildhall feel like a classic. Sure, get expansion sets if you want (we did)! But if you don’t, the game’s options definitely remain engaging over many, many plays without them. Finally, in direct contrast to my initial complaint that the old edition had gaudy, bright colors, Guildhall: Fantasy has gone too far in the opposite direction. The colors are muddy, the artwork is too detailed, and the font on the cards is nearly unreadable even from just a few feet away. I rarely comment on such things, because I prefer to emphasize the gameplay over the look of the game, but in this instance, because of how fundamentally important it is to know what the other players have in front of them, it can negatively affect how well you can play. Several times per game, I have seen people mistake one color or class for another, and it ruins their plans. That said, when played quickly and in a bright room, Guildhall: Fantasy is easily one of the most rewarding card games around. The puzzle is fun, but the pieces you are puzzling with are controlled by the other players, which means the game never really settles. You are always trying to sort through the options in your hand and on the table, and because it is more about the using a flexible set of tools than finding new tools and adapting to them, Guildhall: Fantasy makes you feel clever. And isn’t that why we play games? To feel smarter than other people?